Ecuador was named after the equator which runs through the country, the only country in the world named after a geographical feature. Ecuador and Peru battled over control of Ecuador’s Amazon territories for well over a century, in what became the Western Hemisphere’s longest-running dispute over territory. It ended in May of 1999 with both countries signing an agreement. The world’s very first and second UNESCO World Heritage Sites are in Ecuador. The Galápagos Islands and Quito. In spite its border conflicts, Ecuador has been peaceful in recent years. Presently it is one of the safest South American countries to visit. Ecuador is the world’s largest exporter of bananas, exporting 2.7 billion worth of them annually. Ecuador has used the American Dollar as its national currency since 2000. 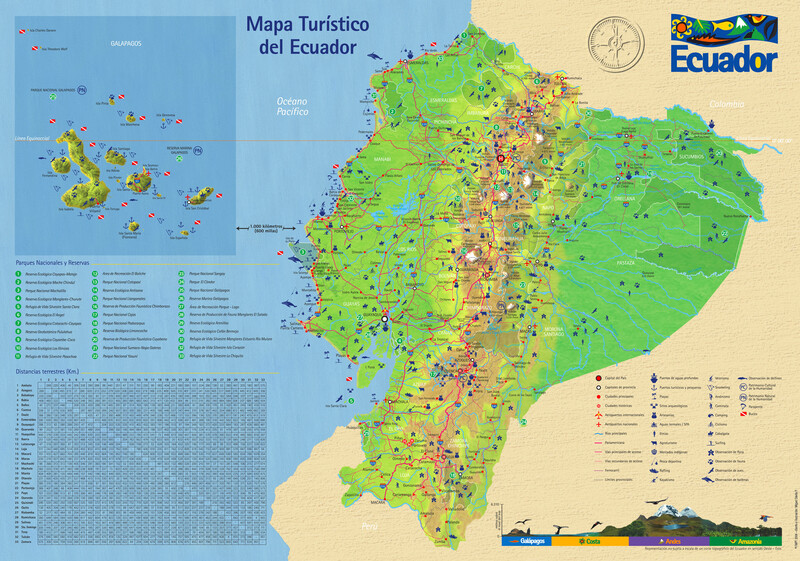 Ecuador is the 9th most biodiverse country in the world and offers much for visitors to see and do. Spanish is Ecuador’s official language but there are 13 recognized indigenous languages that are also spoken. The Galapagos Islands: Dive with schools of hammerheads, manta rays, whale sharks, penguins, and seals. The only place in the world you can. Head to the jungle for a river cruise or jungle trek on the Amazon. Straddle the equator outside of Quito. Trek the many volcanoes active and inactive throughout the country.